Click on the picture below to learn more about our PAINTED HORSES. 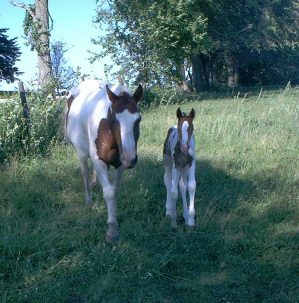 Sugar and her 2003 stud colt. We will begin training him after January 2005. We have two 2011 colts that are now available to purchase. Gorden Farms has the breeding that produces quality APHA painted horses.